I love the ombre effect, it's just so pretty! fun to see all the ombre looks together like this! Can't believe i wasn't following you sooner?! what an awesome post! I really do love all things ombred - has that cool/effortless feel to it! 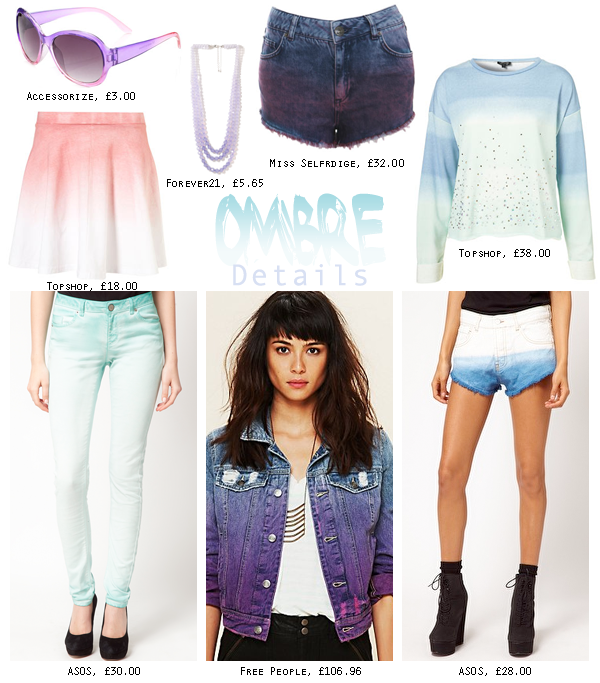 I LOVE the ombre trend! I also love studs so was really excited to see that ombre jumper with studded shoulders! love this post, really nice inspiration! lovely blog! I can't get enough of the ombre look! Have tried to DIY a denim jacket and it was suprisingly easy!